Does your organization want to collaborate with an internationally acclaimed non-profit organization supporting its community like Stigma Fighters? Please contact us HERE with your pitch. If your idea supports our mission, our Board of Directors will reach out to request a formal written business proposal. We look forward to hearing about your organization and how we can collaborate to support real people living with mental illness. 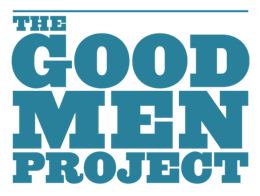 The Good Men Project is the only international conversation about the changing roles of men in the 21st century. They have 3 million visitors to their website every month, a large engaged platform on social media, and dozens of partnerships with big media. One important area for their readership is mental health, and their pieces have helped to lead the conversation in this area. They believe that personal storytelling is a huge component to social change. Therefore, part of their mission is seeking to tell stories of men and their support networks, friends, and family, and those who are dealing with mental health issues,. The Good Men Project’s partnership with Stigma Fighters is crucial because our missions overlap, because we want to extend this conversation further and…most importantly….we want to hear and spread our readers’ stories. Here is your chance to be published on both Stigma Fighters and The Good Men Project. We are both seeking personal stories from people dealing with mental health issues specifically connected to men or men’s issues. If your story is accepted, it will be syndicated on both platforms and marketed through both organizations’ social media outreach.